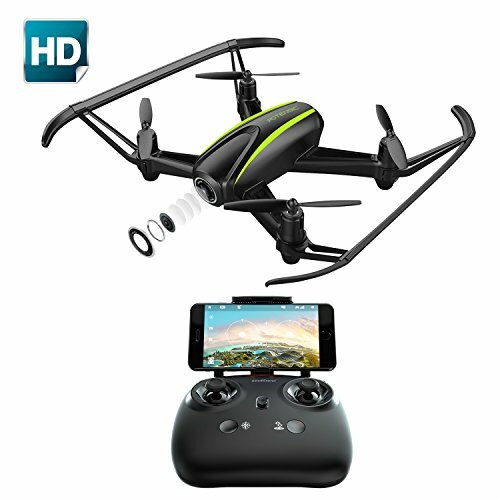 FPV FIRST PERSON VIEW LIVE STREAMING- WIFI-ENABLED Drone connects to your phone or tablet so you can have a LIVE FEED of all the amazing sights captured by the HD CAMERA and Save Directly To Your Device. Perform 360° Flips Mid-Air With Push Of A Button. Flies up to 300 FEET for the best Aerial views. FOR EXPERTS AND BEGINNERS – Chock full of features for all types of fliers. 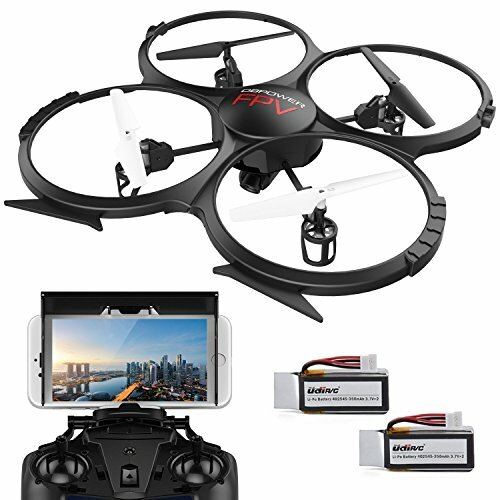 AUTO-HOVER keeps Drone at Fixed Height For Stable Photography AUTO-LAUNCH and AUTO-LAND buttons for Easy Take-Off and Landing. 3 FLYING SPEEDS, slow for beginners and faster for skilled fliers. HEADLESS MODE to help maintain orientation. Flying Camera– See what your camera sees with a live video feed on your mobile device. The X-22 Titanium Drone gives you an all new perspective on life. Control the camera conveniently from the app. Headless Mode– allows you to stop worrying about orientation altogether. 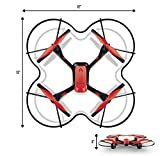 With headless mode, your drone will go to left when you pull the transmitter left and go right when you pull to the right, regardless where your drone is pointing at. 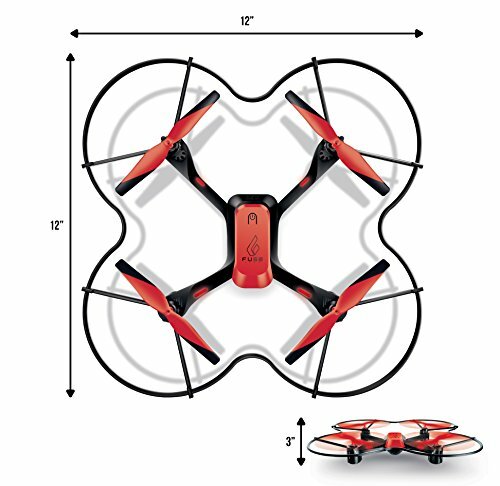 6-Axis Gyro Stabilization system makes the Drone more stable, provides wind resistance, and easy maneuverability. 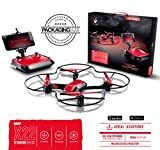 Altitude Hold allow you to release the throttle stick and the drone will keep hovering at the current height. Easy for you to shoot quality images or videos. Long Flight Time– Extra Battery included so you can charge while you fly and maximize flight time! 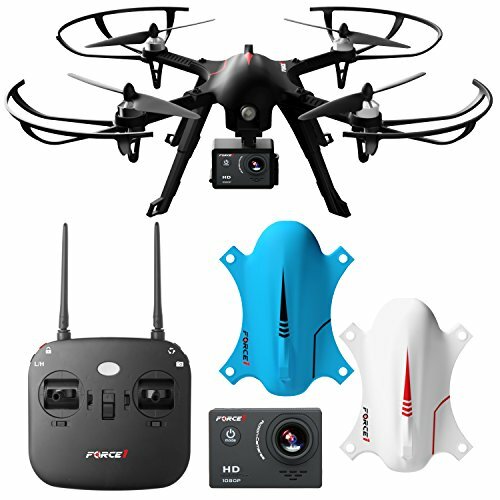 STABILITY- 6-AXIS GYRO Stabilization System makes the Drone more stable and wind-resistant, and easier to fly. ALTITUDE HOLD maintains drone flying height.